Have you found an online vendor selling Damoiseau Ambré? 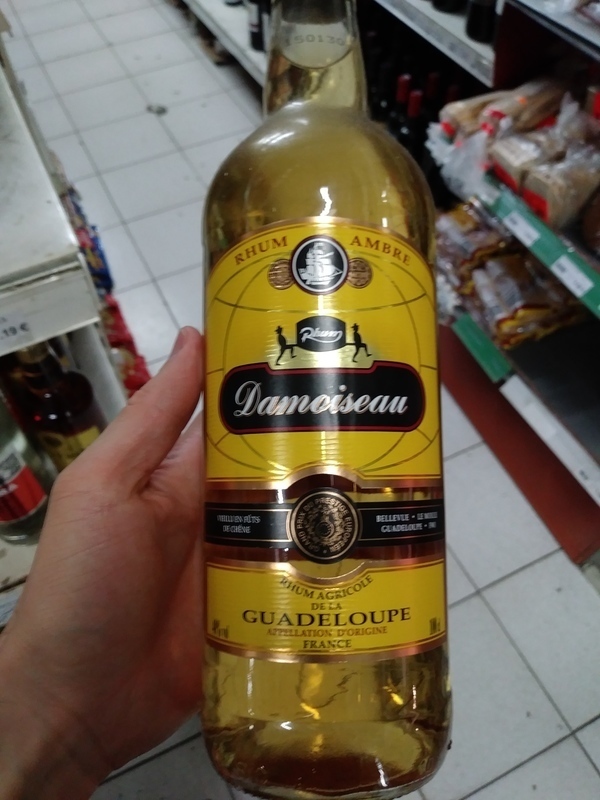 Visited the Damoiseau Distillery in Guadeloupe and bought a bottle of Damoiseau Ambré. Cheap looking bottle and label design. Light yellow color. Typical Rhum Agricole flavors alongside grass and oak followed by a strong burn from the alcohol. This is a mixer rum by all counts. Mix it in a planteur punch as a softer, slightly sweeter accent to a minor Key just to keep it in the game long enough for you to shake it a little. But he probably doesn't want to make a track like that again. I know I don't need to hear it again. Prix attractif en métropole... Je comprends pourquoi. Je ne me suis pas régalé avec le ti punch préparé. rhum sec avec un goût ni adapté au cocktail, ni au ti punch...il a fini en arrangé !! Vraiment une mauvaise surprise, il faut le noyer dans le coca pour pouvoir boire ce rhum... étrange, le blanc est très bon !